I’ve decided to start a new series of blog posts – the longevity awards. This will look at the items I have reviewed in the past and am still using today. 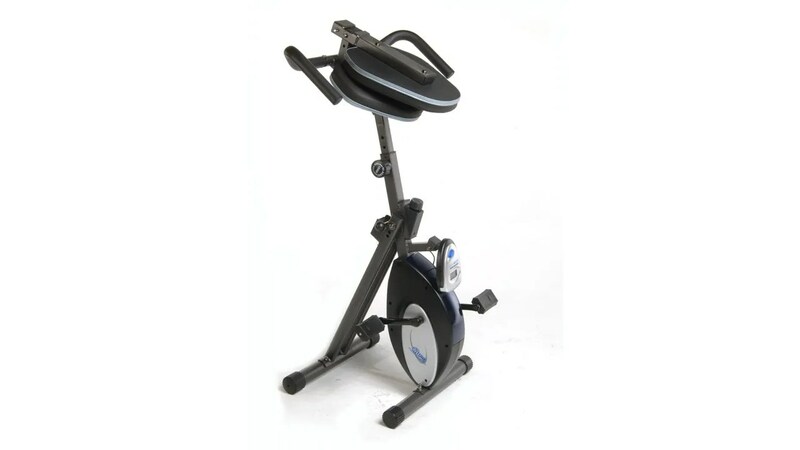 The first item is one of the oldest – I’ve had it for over five years – the Stamina InTone Folding Recumbent (Stationary) Bike. This is the InTone 15-0201 (the newer version) unfolded and ready for use. I don’t like exercising, I don’t like going to gyms – but I do want to be healthy, agile, and strong (not bulky, just capable). I had found while running cross country that I enjoyed riding stationary bikes if I could watch something (TV/movie) at the same time…but I still didn’t want to waste time going to a gym. 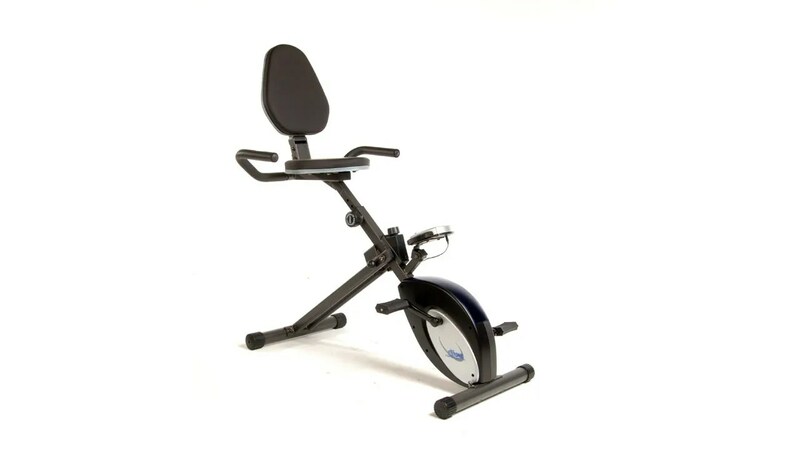 I began researching for a stationary bike that one could keep at home, was reasonably affordable, and wouldn’t take up a lot of space – that is when I stumbled on the 15-0200, and I’ve been using it ever since – except for a period of time when health problems made this impossible. When I bought the unit in October of 2007 off Amazon it was under $140, but after paying S&H it was almost $200. Now on Amazon you can get the newer model (which as far as I can tell doesn’t have any improvements over the previous one, just a few slight differences in cosmetic design) for $200 if you have Prime – so it is pretty much a wash on price. The unit has held up over years of use. The seat is beginning to lose some of its covering, the display is irreparably grimey and every once in a while I need to tighten up some of the bolts – but really can’t complain. This is the InTone 15-0201 folded up and ready to place in a corner. If you hate exercising, I recommend the stationary bike + movies/TV option, or the stationary bike + reading option. If you love exercising but don’t want to have to set aside a whole room as a gym or have bulky equipment filling up your living room – the Stamina is a good choice…in fact, I haven’t really found many other options out there – let me know if you do! I’m now trying to combine my stationary bike exercises with some bodyweight exercises (based off the 7 Minute Scientific workout) as well as a short but helpful stretching routine. It is amazing how painful I find exercise – even doing the 7 minutes drives me nuts, but want to do something for the upper body (right now, crunches and push ups). Ohh, and while I’m at it, the one thing I would like to see Stamina improve is the LCD display – preferably something that has wireless connectivity and can integrate with other fitness devices/sites like FitBit. Next story Shakeology – 4 Month Update. Previous story Dynex Wireless Keyboard and Mouse: Boo.